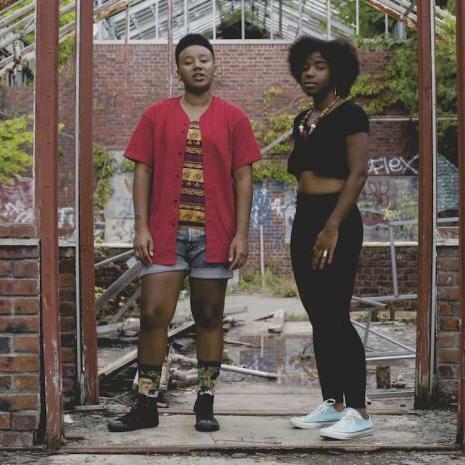 THEESatisfaction is a remarkable multi-genre duo based in Seattle, Washington. Cat and Stas are two fearless and visionary young women steeped in hip-hop and R&B whose 2012 Sub Pop debut, awE naturalE, made several lists, as one of the most noteworthy albums of the year. Their new album is EarthEE, it’s dizzying, remarkable, and romantic, and it’s out Feb. 24 on Sub Pop. Here we discuss how Stasia’s in Brooklyn these days, spending four years working on their first album, growing as musicians, no samples, laughing at sexiness, how THEESatisfaction works, what Seattle and the Black Constellation is all about, musical missions, keeping things positive, the meaning of “Post Black, Anyway” and self-awareness in people fending off racism, today’s letter is “E,’ what hip-hop is and what some people think it is, touring in April, SXSW or China, celebrity watching, bonus tracks, the song “EarthEE,” and that was all.